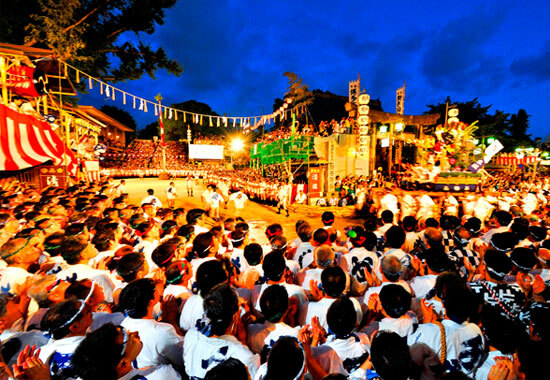 Hakata Gion Yamakasa Festival, the spirited summer festival of Hakata with a tradition dating back over 770 years, that has been designated an Important Intangible Folk Cultural Property. Held mainly in the Hakata district of Fukuoka, decorated Kazariyamakasa floats and Kakiyamakasa floats appear throughout the city from the 10th. 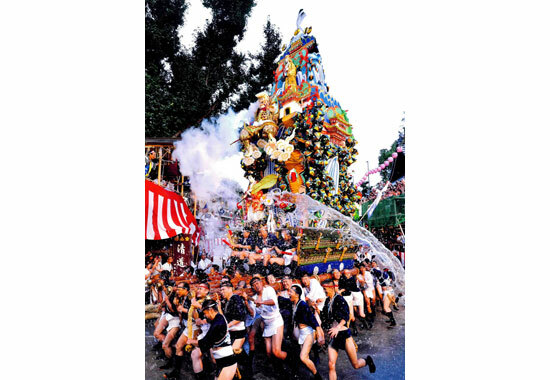 The festival culminates early in the morning of the 15th with the Oiyamakasa race where men dressed in mizu happi coats run through the streets of Hakata carrying 1-ton Kakiyamakasa floats and shouting “Oisa! Oisa!”, signaling that summer is here.